Recent rainy Spring evenings have made me appreciate finally being an owner of a fireplace…. So now what to do with all the firewood? 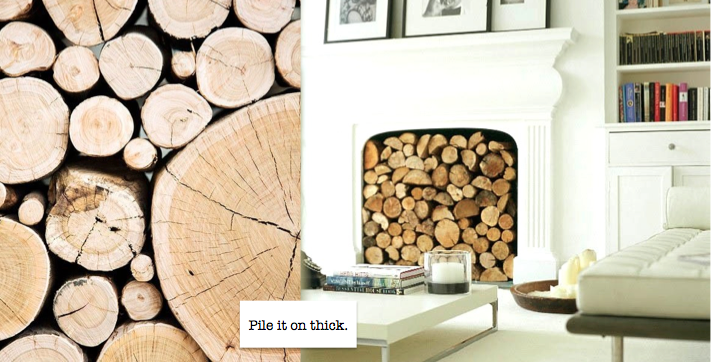 There are so many ways to store firewood, however the most practical way to truly keep your wood pile ready for action at a moments notice, is dry and indoors next to your fireplace. 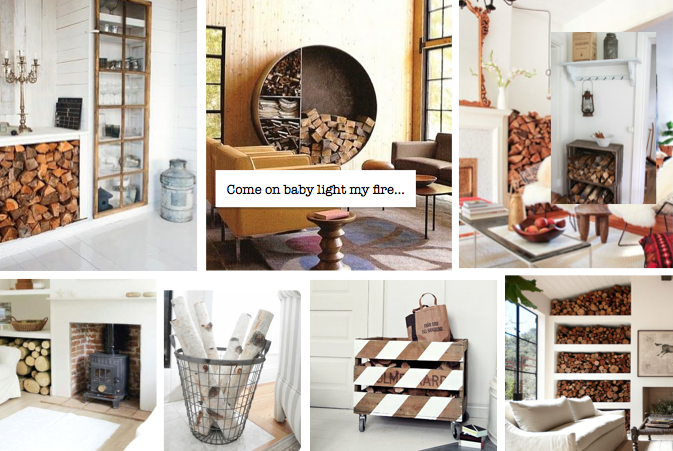 Here are a few takes on the indoor wood pile that I think are not only practical, but pretty too! If your living space doesn’t lend itself to the stack it high and let it fly storage style…perhaps something like the below is a bit more your style. Always remember that even the most basic things in our home can be displayed thoughtfully and add to your home decor. 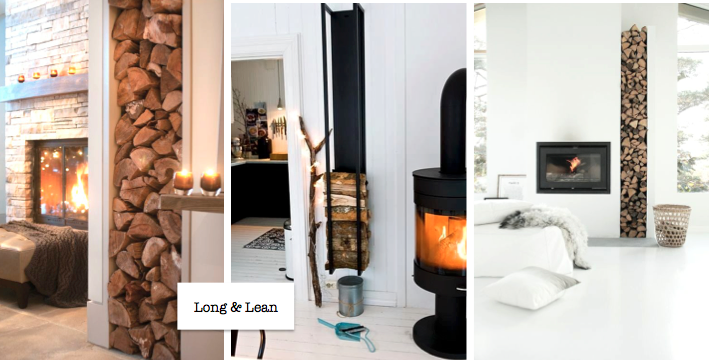 Something as simple as a firewood pile in you living room can try transform your space if you take the time to think about where and how you want to display it. So have some fun with it and stay warm friends!